Our Mission: To provide clean, secure accommodation for the budget-minded traveler in a fun and exciting atmosphere. The Cona Hostel, aptly named with Strathcona Park outside its back door, is situated in the beautiful Comox Valley on Vancouver Island. We certainly have no shortage of activities for travelers to enjoy here and we, at the Cona, endeavour to help make your stay full of fun and excitement. Take a look at our photo gallery for a small taste. You’ll find us at the bottom of trendy main street Courtenay in a newly renovated heritage building with great views overlooking the Courtenay River and Lewis Park. Laundry facility - $5 per load includes wash, dry and laundry pod. Please contact us directly if you cannot check-in between 4 and 9 pm and we will do our best to accommodate you. Private 1 & 2 are each part of an apartment syle suite. Each room is rented individually or get them both and use the futon. The suite includes its own full bathroom, kitchen, lounge with tv/dvd. The “couples” room of the suite, with one double bed. This room is great for a couple or someone by themselves looking for some privacy. Couples or families can fit in this room. 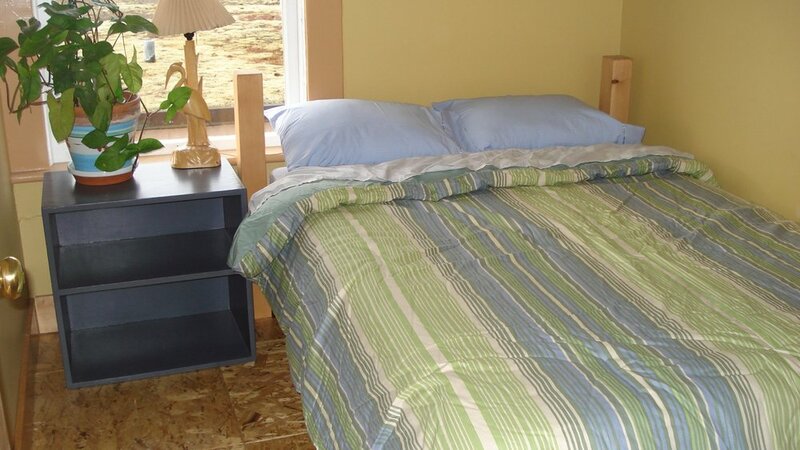 One double bed and two single bunk style beds is what you will find to sleep on. 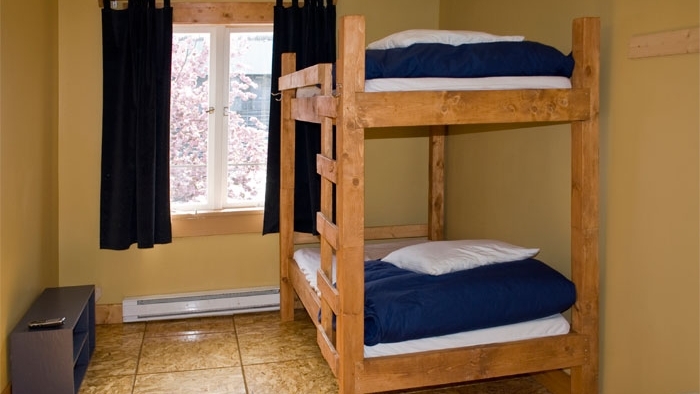 For the individual or group our dorm rooms offer a comfortable bunk style single bed. A locker is included in the price. For the ladies a four bed girls dorm is available. With a great view of the river and the historic 5th street bridge. The largest of our newest additions. This room has a set of double bunk beds, and a set of single bunk beds, for a total of four beds. This room can accomodate from 1 to 6 and prices vary accordingly. This cozy room for 1 or 2 has a large window overlooking the river. Complete with a comfortable double sized bed. Overlooking the river and the expansive Lewis park is perfect for smaller families. 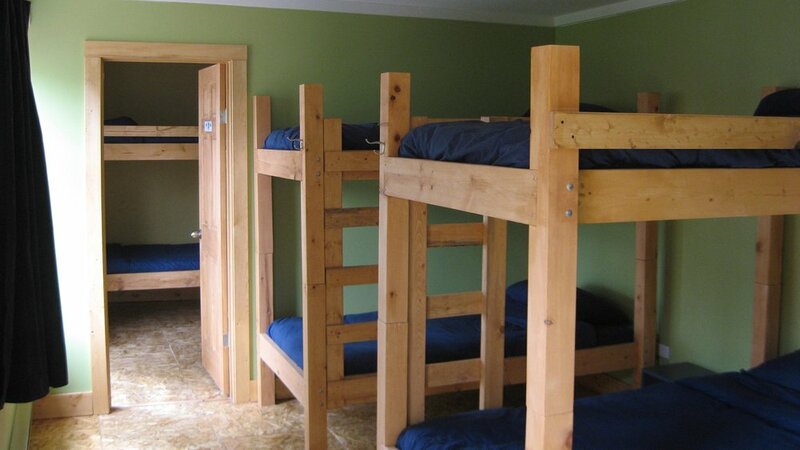 With 2 bunk style double beds parents can sleep on the bottom while kids are on top. We are Not Currently Taking Reservations. Thank you for your patience.